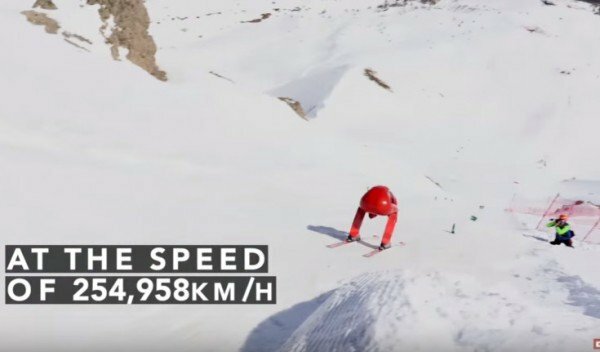 The speed king conquered the feat down a near vertical run that had been specially groomed for a speed skiing contest at France’s La Fôret Blanch. Origone was said to have accelerated faster than a Formula 1 race car reaching 125 mph in just 5.5 seconds. Watch the incredible video below. Read our related story on British skier Graham Bell who is working with engineers at Jaguar to design a suit capable of reaching speeds of excess of 160 mph.